The mug that won”t fall over, say goodbye to spills. Suction-style bottom won”t release its grip unless you lift straight up. 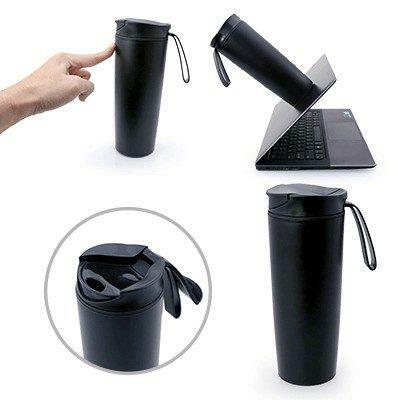 Double wall keeps your beverage hot or cold longer. Work on all flat and non-porous surfaces such as desks or laptops. BPA free.